February 1-7, 2015 marks the 25th anniversary of International Development Week, a time dedicated to learning about and actively engaging in international development issues. Don’t miss your chance to get involved! 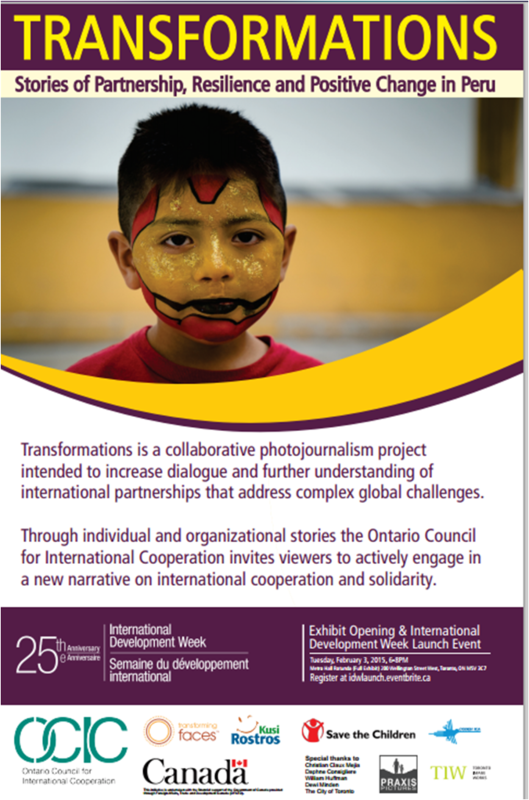 International Development Week (IDW) celebrations will happening all around Canada. Check out this DFATD listing or visit your regional council for international cooperation website for details on public engagement activities happening throughout the week. 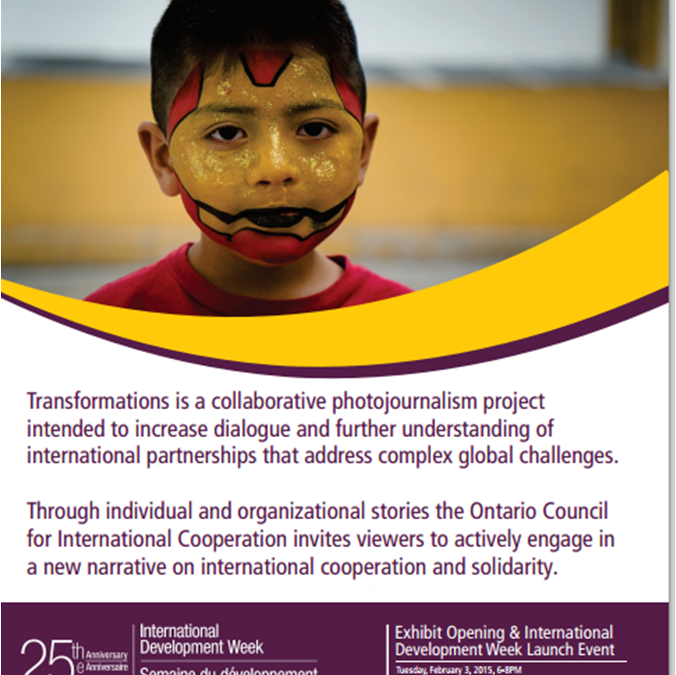 This year, Transforming Faces is excited to be part of the Ontario Council for International Cooperation (OCIC)’s Transformations: Stories of Partnership, Resilience and Positive Change in Peru, a collaborative photojournalism project intended to increase dialogue and further understanding of international partnerships that address complex global challenges. OCIC will be presenting a week-long virtual and physical photo exhibit highlighting stories and photos from Transforming Faces and Save the Children’s projects in Peru. This will be a unique opportunity to learn more about our work and the patients we support! The physical exhibition will be kicked off with a free Peruvian-themed launch party event on Tuesday February 3rd at Metro Hall in Toronto. To register for the launch party event, click here. The free week-long public exhibit will be held from February 2-6 in the Metro Hall Rotundra at 2o0 Wellington St. W in Toronto. Various Toronto Public Library locations – click here for more details. IDW is an opportunity to take the time to inform yourself about key development issues. Over the course of the week, we’ll be posting information about cleft lip and palate on Twitter using the hashtag #CleftFacts. Please follow along and join the conversation! TF’s website: what is cleft lip and palate? / what is comprehensive cleft care?